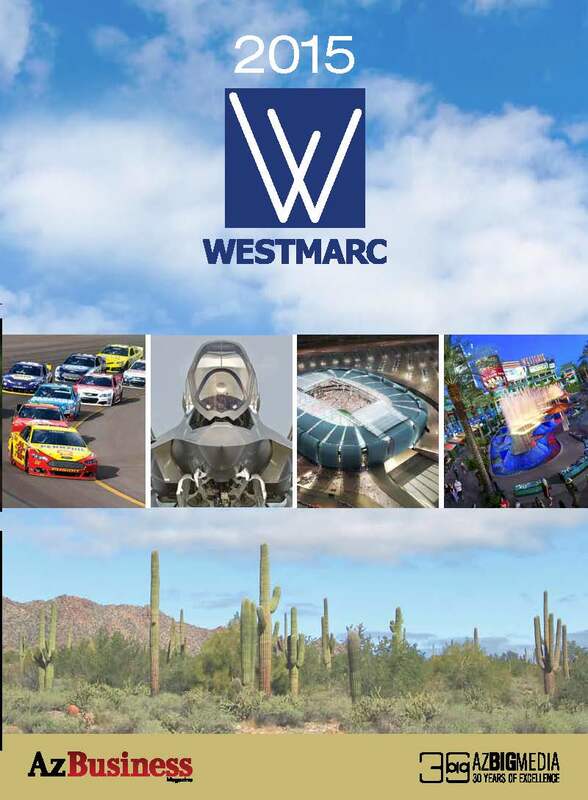 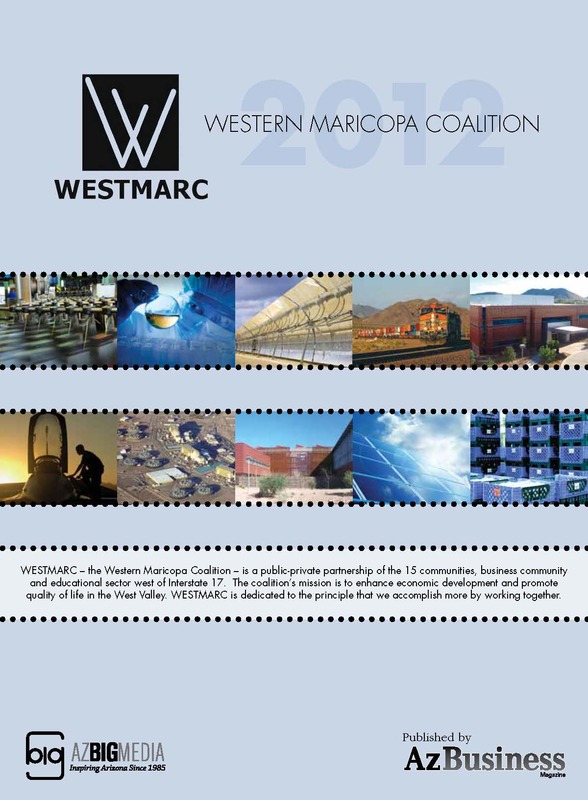 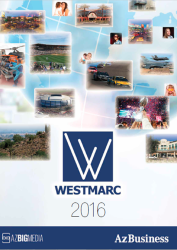 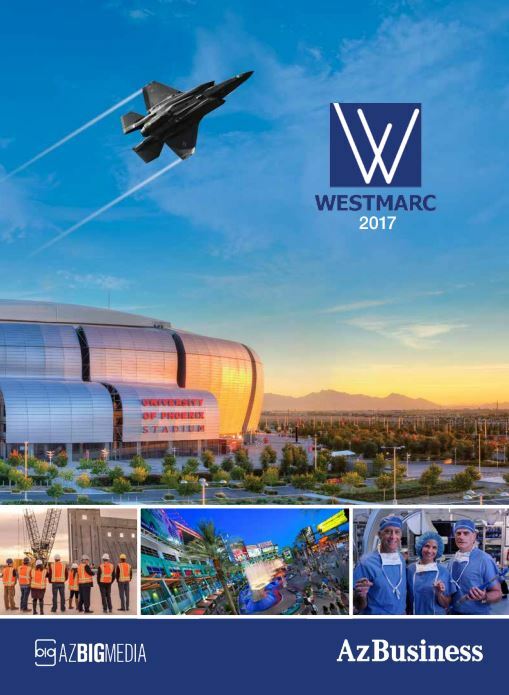 WESTMARC is pleased to continue our valuable partnership with Arizona Business Magazine with the publication of our annual West Valley section. 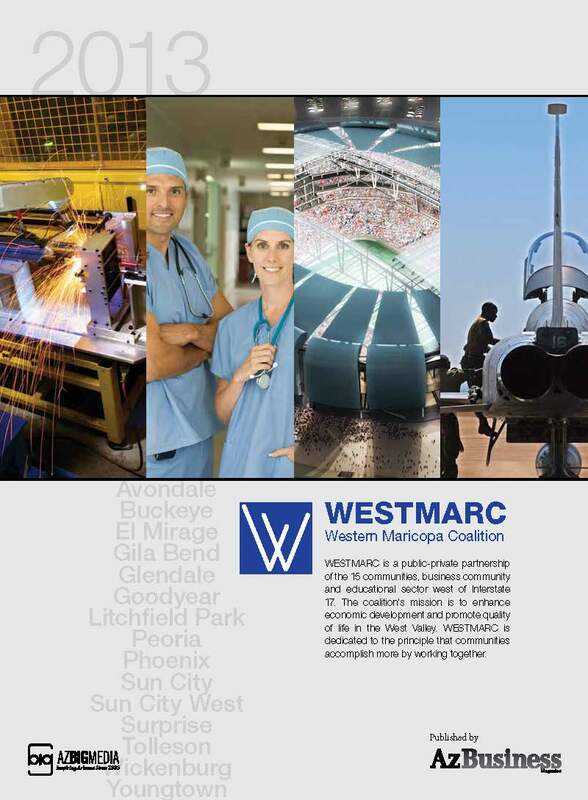 Printed in the July/August issue, the section promotes the West Valley to AZBigMedia readers by highlighting successes in economic development and other areas of importance. 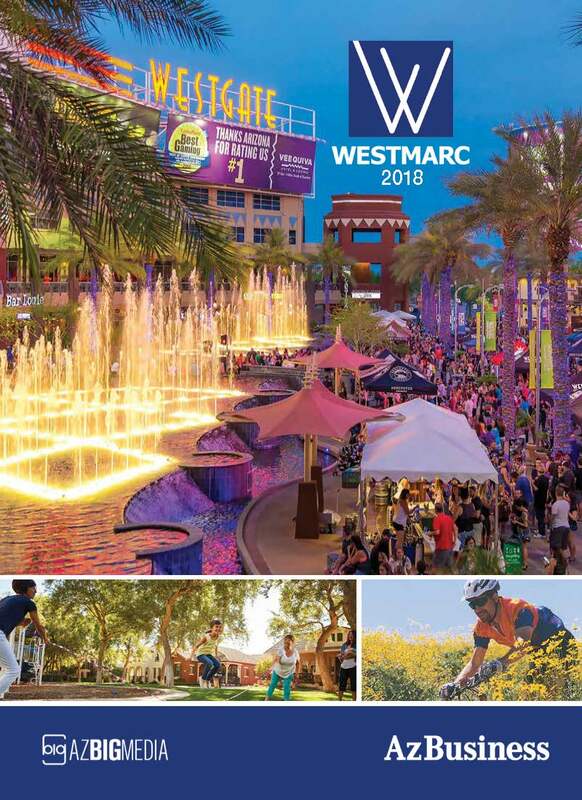 Copies of the special WESTMARC section are available. 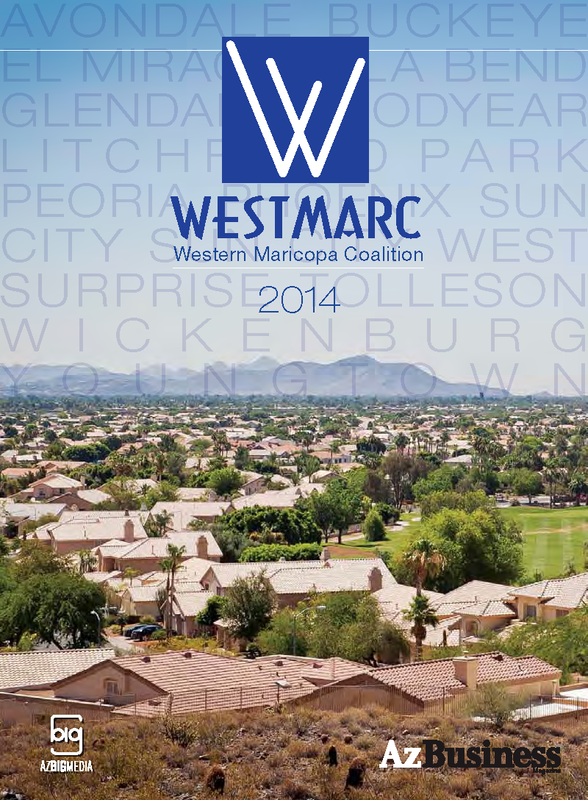 Please contact kvossler@westmarc.org for details.